Sometimes "Like" just doesn't cut it. So how about Love or Angry? Haha or Sad? Or just Yay or Wow? 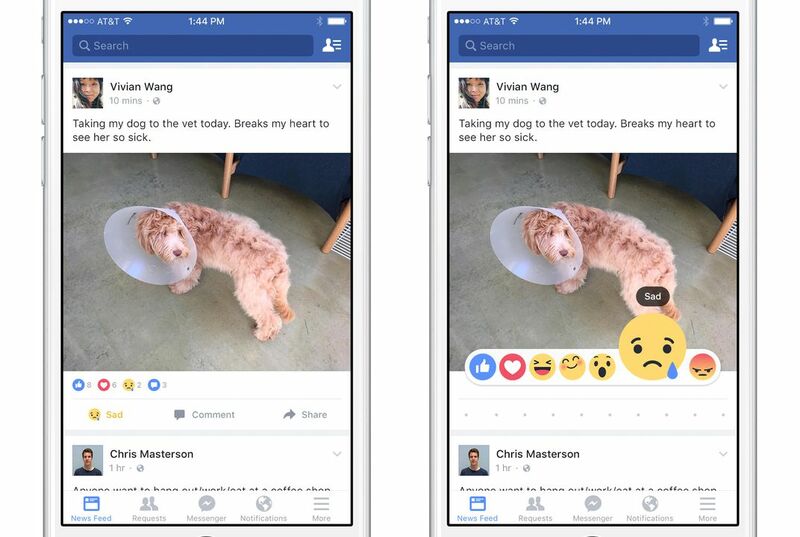 Facebook is going "Inside Out" on the Like button. It is adding a range of new emotional reactions to the iconic thumbs-up icon it launched in 2009. You won't see the new emoji right away. Well, not unless you live in Ireland or Spain. They are the two locations the Menlo Park, California-based social network has chosen to begin testing them. But Chris Cox, Facebook's chief product officer, says in a post that the company plans to use the feedback from the test run to make improvements. The hope is to launch the buttons globally "soon." 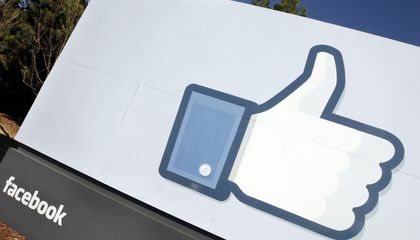 Many Facebook users have been clamoring for the company to add a "Dislike" button. They argue that hitting the "Like" button in many instances, such as in reaction to a tragic news event, can seem a bit shallow. Or it might seem inappropriate. At the same time, typing out a thoughtful comment on a phone isn't always easy. Cox says the company studied Facebook comments to see what reactions were most commonly expressed through Facebook. The new buttons were based on that. "As you can see, it's not a 'dislike' button. Though we hope it addresses the spirit of this request more broadly," Cox's post reads. In order to see the buttons, which are available in the iPhone, Android and desktop versions of Facebook used in Ireland and Spain, users can either long-press or hover over the "Like" button. The buttons will then appear for users to scroll through and select. Counters underneath a post will track how many of each reaction the post has received. That is similar to how likes are tracked now. How can “Like” be an inappropriate substitute for expressing interest? The "Like" can be inappropriate substitute for expressing interest because according to paragraph four when people post about a sad or serious event it can be inappropriate to press the like button because it sound like someone likes that the event is happening when they just want to like it because they agree is tragic. So people requested a dislike button so it is no longer inappropriate to press like on sad subjects but, still acknowledge there friends post. Opinion: I liked this article a lot I though it was super interesting and I think it's really great that Facebook added more button options. I do not think it is inappropriate it is just the way that person takes it. I think I would have to argue to that opinion ( I hope I don't offend you, of course. It's just how I think of it. ). I think by ' inappropriate ' they trying to be funny by doing something like hitting the like button on a post about a tragic incident. Well I think this could be very useful for lazy people because the purpose they made this is stupid. They didn't want to write thoughtful comments so they made this emojis to make things go faster just by touching the screen. I think this is cool because Facebook is finally adding more features that can make likes more appropriate. When you see a sad post, liking it may seem inappropriate but with the new features, you can express how you really feel. This is a great feature. Answer: A like can be an inappropriate substitute for expressing interest because it doesn't show a person's feelings. I wish California could have new emoji right away. Then we could show our feelings to other people. For example, if there was the dog in that article I would put the sad emoji. I wish our internet people who take cares of emoji could create new emoji for United States. I want to show everyone in Facebook how I feel. People should know how the others feel. IT'S NOT AN INAPPROPRIATE SUBSTITUTE FOR EXPRESSING YOURSELF. UNLESS YOU SAY YOU LIKE SOMEONE. It is inappropriate for people to press the "like" button because it makes it sound like they like a tragic event. I agree and think there should be a "interesting" button for Facebook.